The Lingones were a Celtic tribe that originally lived in Gaul in the area of the headwaters of the Seine and Marne rivers. Some of the Lingones migrated across the Alps and settled near the mouth of the Po River in Cisalpine Gaul of northern Italy around 400 BC. These Lingones were part of a wave of Celtic tribes that included the Boii and Senones. The Lingones may have helped sack Rome in 390 BC. 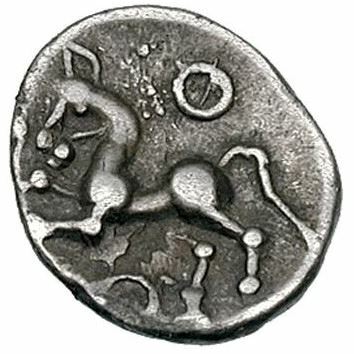 The Gaulish Lingones were thoroughly Romanized by the 1st century, living in a rich and urbanized society in the region of Langres and Dijon and minting coins, but getting caught up in the Batavian rebellion (69 AD), described by Tacitus.